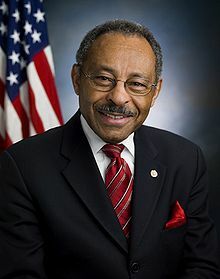 Roland Wallace Burris is an American politician who is a former United States Senator from the state of Illinois and a member of the Democratic Party. Roland Wallace Burris (born August 3, 1937) is an American politician who is a former United States Senator from the state of Illinois and a member of the Democratic Party. In 1978, Burris was the first African-American elected to statewide office in Illinois, when he was elected Illinois Comptroller. He served in that office until his election as Illinois Attorney General in 1990. Since then, he has unsuccessfully run for office four more times. Burris was appointed by Illinois Governor Rod Blagojevich to replace President-elect Barack Obama as the junior senator from Illinois. The appointment was controversial, as the governor was already under investigation and there were rumors of him being paid for the appointment. Prior to Burris's appointment, Obama was the U.S. Senate's only African American member; Obama resigned his Senate seat after being elected President of the United States.